Steve, our trusty service engineer, joined the staff of Television House, Pickering as of 11th April 2016. 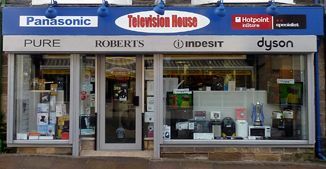 Television House are dealers in Panasonic, Bosch and Hotpoint products and aim to give you continued first-class service on those brands. They also aim to provide you with back-up service on Panasonic products. Television House aim to cover York, Dunnington, Pocklington and Market Weighton areas in addition to their own area. We wish Steve and Television House well. BLTV Aerials, 20 Broad Acres, Haxby, York, YO32 3WL.